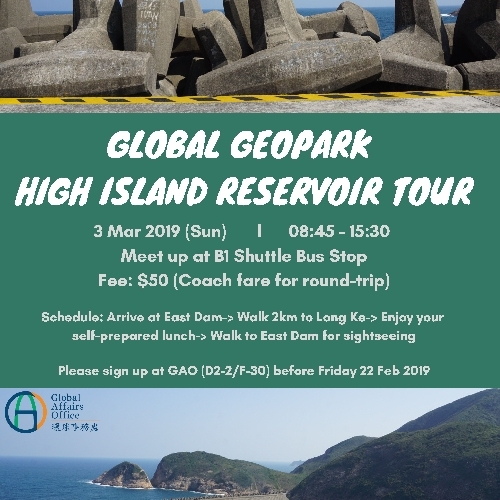 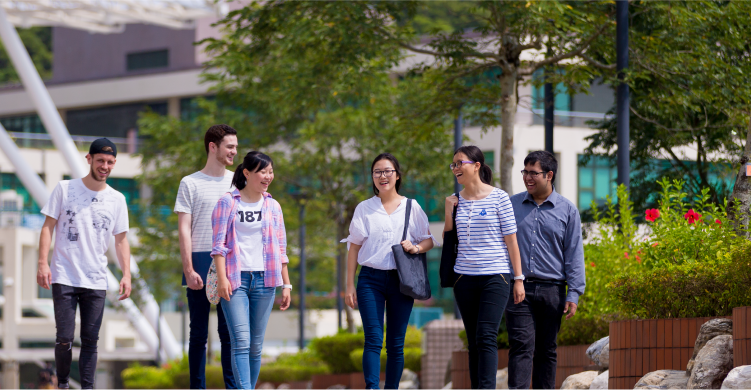 Global Affairs Office organized a Global Geopark High Island Reservoir Tour on 3 March 2019 (Sunday). 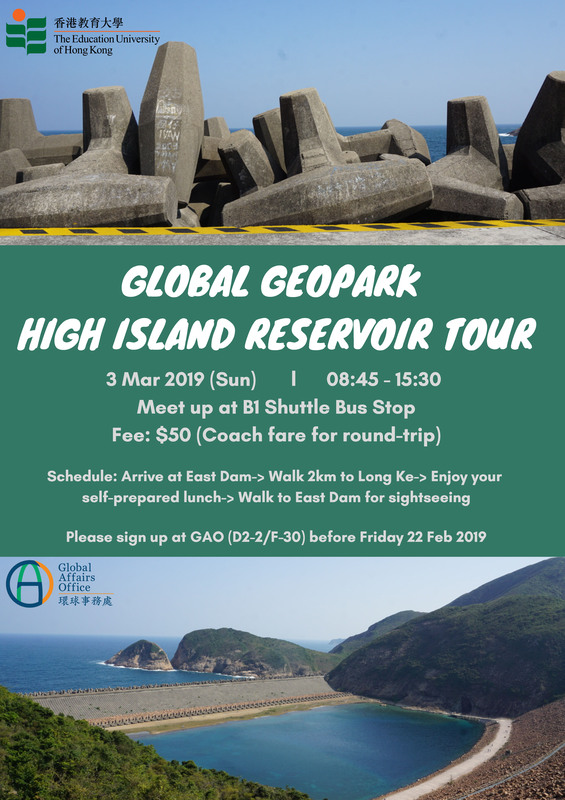 The High Island Reservoir East Dam is in the only part of Hong Kong Global Geopark that is reachable on foot. 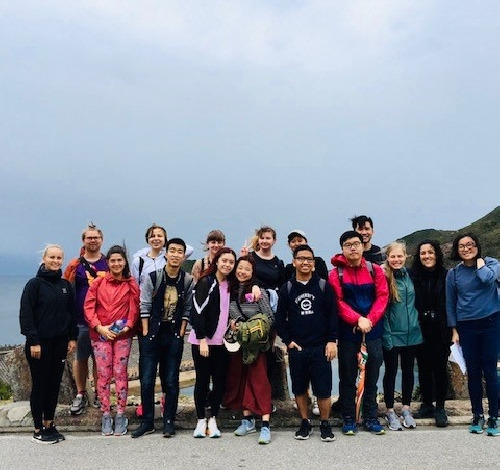 It is the best location to observe Hong Kong’s world class hexagonal rock columns at close range. 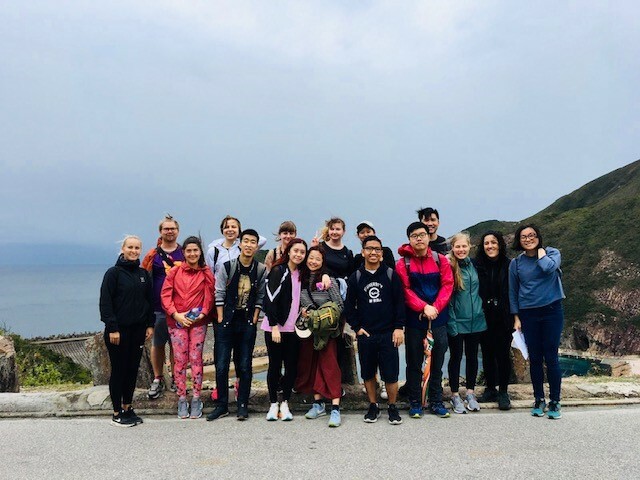 The scenery is surreal and made even more so by the presence of thousands of dolosse blocks (huge cement barriers shaped like jacks) placed along the coast to break sea waves.